Recently, I had a heated discussion with a Dev Manager/Friend of mine. 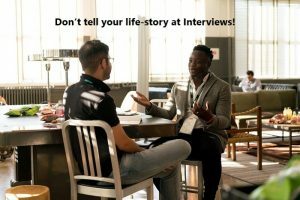 I’ve done 100s of developer interviews during my time at Wells Fargo as Software Development manager for multiple products/teams both onshore and offshore for number of years. As well as interviews I’ve done since then. it was always shocking to me that most developers don’t know the very basics of the interviewing process. As for managers, it really comes down to how many of the check-boxes managers can check-off mentally (not on paper) when deciding to hire someone. What’s important to understand is that most decisions are not made based on skills or specialty. Of course, those are part of it, but have less weight than you assume. This will be living blog post until we get to 100. Be sure to save the URL to check-back regularly or better yet, follow me on LinkedIn and you’ll see the individual tips as I post them in your feed. There will be a lot of tips as part of this guide, but most important is for you to understand and accept that it’s a process. 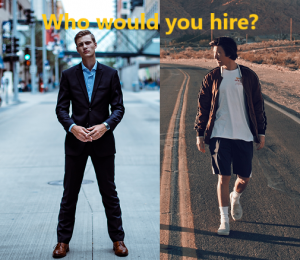 Every manager has biases towards their ideal candidate, but what they all have in common is that they all look for candidates who can simply go through the interview without strange behaviors, awkward answers or exceptions. So before even diving into specifics, make sure you understand the basics of an interview. The basics are common a cross all interviews, and not just developer interviews. Just because you have years of experience, are confident and have all the required skill-set, does not guarantee you the job. And you don’t get to skip the basics. In my next few tips, I’ll try to go into more specifics as to what those are. Yes, yes, you’ve heard this maybe 100s of times before. But somehow, often developers think they just need to know coding, why would it matter how they dress? I mean most places allow casual dressing, so what’s the big deal? Big Deal is the first impression!!! I had a candidate once who walked into our interview wearing shorts/t-shirt/flip-flaps. While, it wasn’t the main deal breaker, but I’ll let you look at the picture attached and imagine how you’d react if you were the interviewer? The bottom line is some managers or company culture might be ok with this, but don’t that chance. No manager will ever look down at over-dressing, but some may have higher expectations like me. Yes, some managers may disagree with me, but the keyword is *some*, not all. As a manager that can decide what they value in candidates, but you as a candidate should do your best to show-up looking your best. As for me, I don’t really care about the suite or dressing up part. It simply shows how much the candidate cares about the position and showing-up wearing shorts just sends the wrong message. Tip # 3 – Answer Questions Precisely without telling your life-story! – This is a common issue I’ve experienced dozens of times. Some people just love going off subject and telling stories that are *unrelated* to the question. – I had to cut people off multiple times during interviews to try to keep them on point. But somehow, they would get back to telling stories. – Question in my mind is if you can’t simply listen and give reasonable answer, how can I expect you to NOT do the same with your tasks? – Stick to the point, keep your answers short, but NOT too short. – If question is not clear, it’s ok to ask the interviewer to repeat. What’s not ok is to give a random unrelated answer. I would often get candidates who had skills mentioned on the resume, but if I’d ask about them, their response was, they don’t have experience with that???? 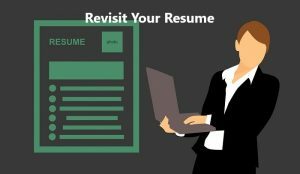 Hence, Keep Your Resume up to date.